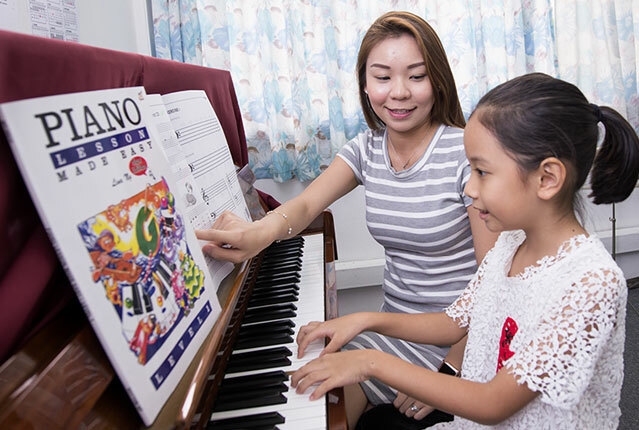 Graded piano lessons start from beginner grade to diploma level and prepare the learner for graded examinations. We offer music examinations from two examination boards, the Associated Board of the Royal Schools of Music (ABRSM) and London College of Music (LCM). Other than teaching students to play classical pieces, graded piano lessons have a strong emphasis on skills and technical work like aural, scales and arpeggios. Music theory is integrated into the lesson. Students can expect to attain the Grade 5 theory certificate before making the choice to continue their study of music theory. Other than piano sonatas, teachers may also include jazz or pop pieces to the student’s repertoire for greater variety. The study of the instrument does not end upon the attainment of the Grade 8 piano practical certificate. Many options exist for students to continue their studies at the diploma level and beyond. Leisure play lessons cater to learners who are interested in learning to play the instrument without the stress of graded examinations. Leisure play lessons tend to be more popular with late beginners or adults as the focus is on playing a variety of songs and pieces. Generally, lessons are conducted at a faster pace and does not include theory unless specifically requested by the student. However, students will still be taught the basics like reading notes on the stave, rhythm, understanding the time signature etc. Children around the age of 4.5 years old can start learning to play the piano. Children who are too young may find it challenging to play the piano as their hands and fingers are still developing in size and strength. 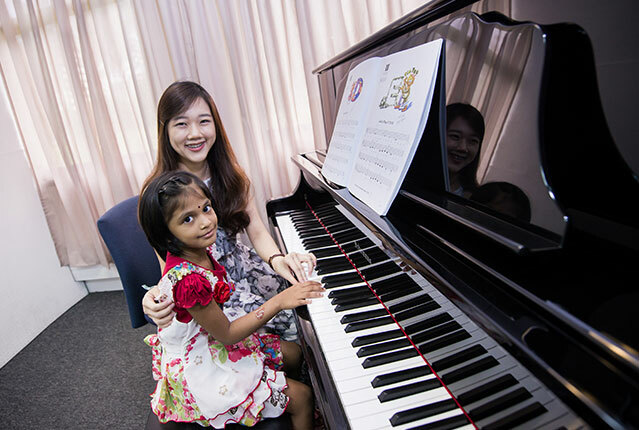 I do not have a piano at home, can I still enrol my children for piano class? Yes, you may do without a piano at home for a start. However, a piano will be necessary after the initial lessons for more effective learning and progress. To encourage our students to practice the piano more often, our studios are up for rental at $4 per hour. We also offer pre-loved pianos for rental starting from $380 for a period of 6-months including transport. How long will it take to learn the piano? This is dependent on the individual e.g. aptitude and how often they practice. Learning to play an instrument competently is a lifelong journey. On average, getting from beginner to Grade 8 will take around 10 years. Enjoyment is important when learning to play an instrument, hence it is not necessary to take examinations. It is also not necessary to take examinations for every grade level. Some students take examinations at certain grade levels to evaluate their current skill level. 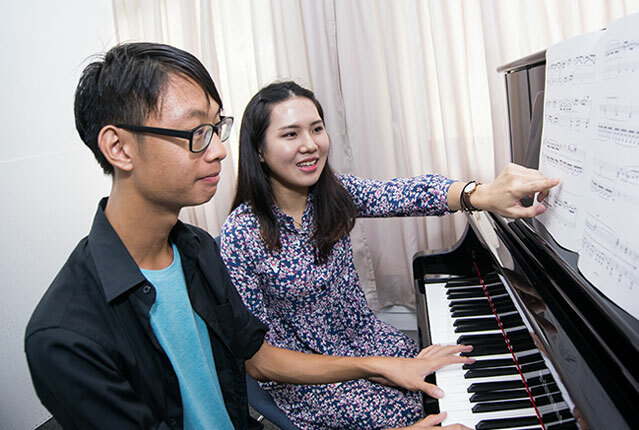 Most students will take the final Grade 8 examination to signify that they have completed their piano studies before deciding if they want to further hone their skills at the diploma level.